My favorite things (not in any particular order): family, friends, God, Puccini, cheese, Christmas trees, Star Wars, and chocolate. They are even better when combined: a cheese party with friends, seeing Tosca with the hubby, the Christmas display at Church…. 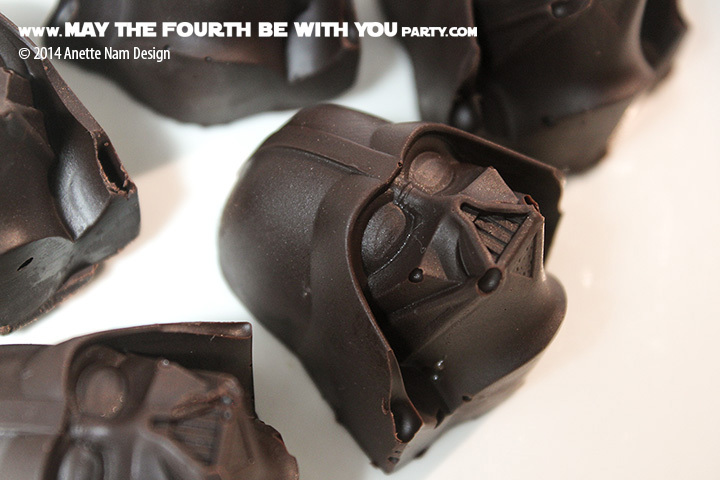 and now, eating Star Wars chocolates!!! The Kotobukiya Star Wars silicone molds (or ice trays as they call them) are awesome! Forget about the ice. The first thing we made with them were chocolates. They make impressive bite-sized desserts, great gifts, and it is a really easy, fun activity both for kids and adults. 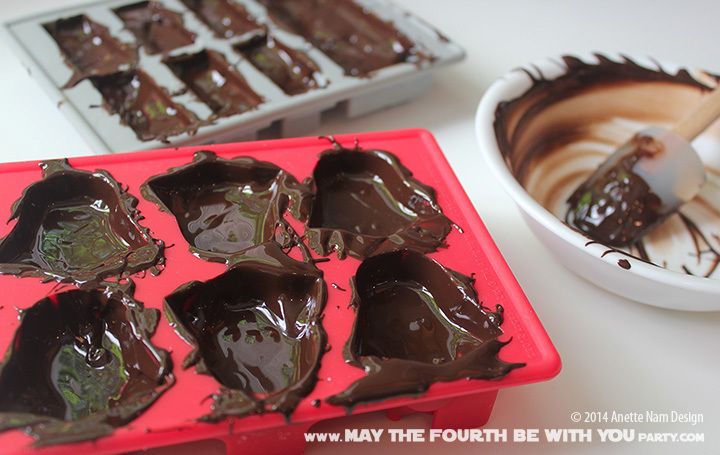 Pour chocolate into the mold. If you want solid chocolate, fill to the top, and you are done! If you are using a hard filling such as Chex, pretzels, or dried fruit, fill mold about halfway. Then stick filling into chocolate while still soft. Add more chocolate, and you are done! Put in the fridge until hard. Add your favorite topping in the middle. If it is anything melted (different chocolate, soy butter), let cool in fridge again. Add second layer of chocolate. 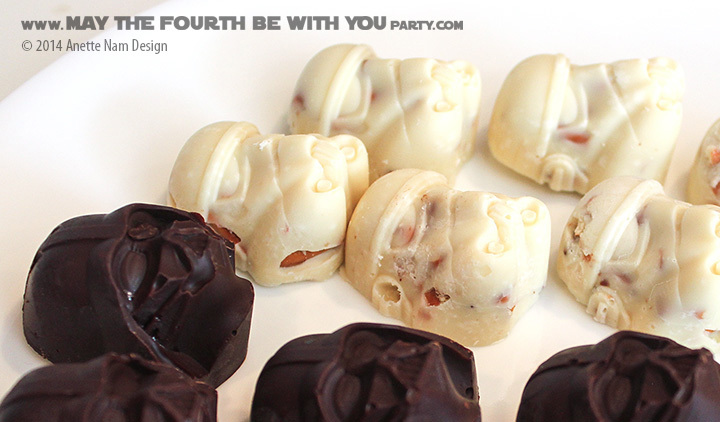 Enjoy a sample or 2 in secret, to make sure they turned out right, before serving to your awestruck guests! Put the trays in the fridge as soon as they are poured. The chocolate can get a bit of a chalky dusting if it hardens at room temperature. 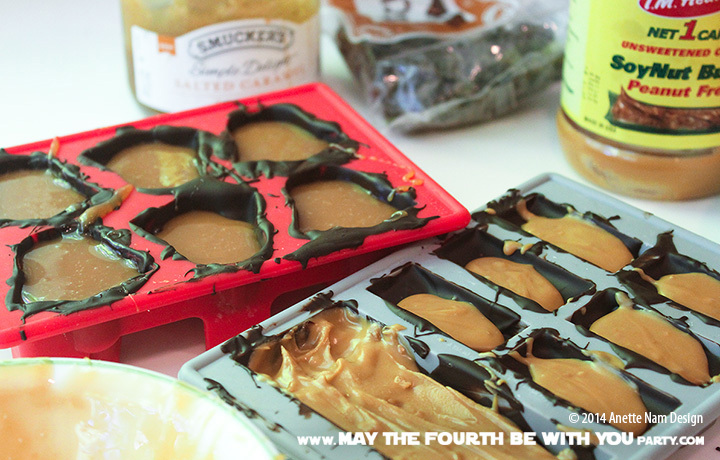 Soy butter works better than peanut butter if you want just a thin layer for the Han Solos. 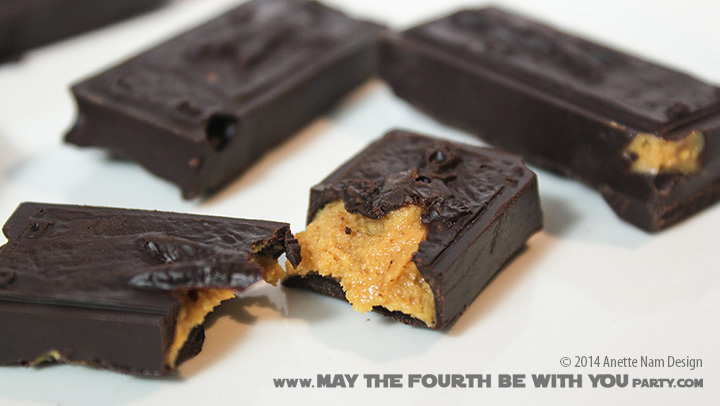 It melts just like chocolate in the microwave – whereas peanut butter tends to stay clumpy. And it tastes just about the same. Note, sunflower butter does not work as well. 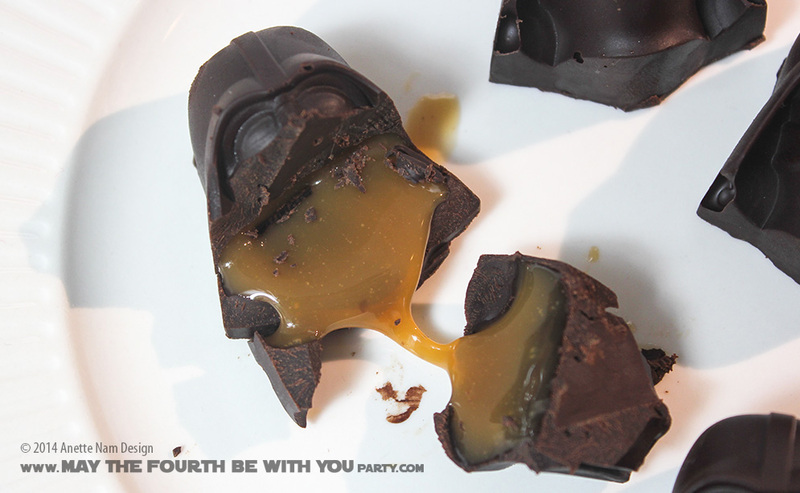 The X-wings works best as solid chocolate. You can use white chocolate and add food coloring to color them grey. 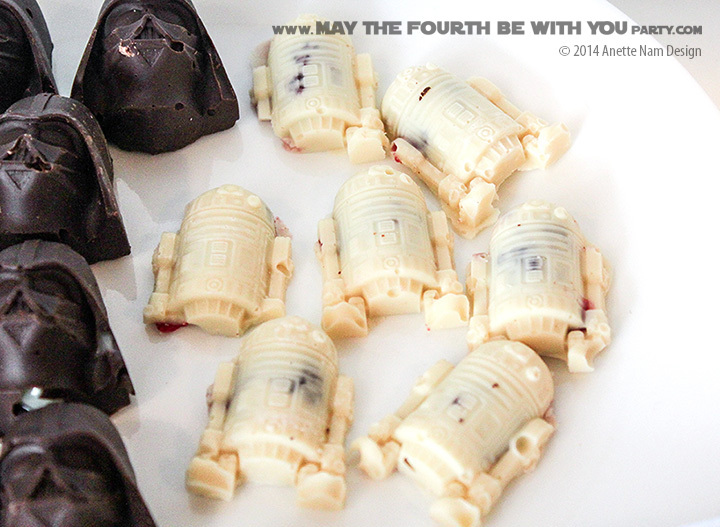 The small R2D2s are also best as solid chocolate.